If you have been following along with the Simplify My Life challenge, are are probably a little confused right now. You might be thinking ‘Didn’t we cover minimise and downsize the last two months… why on earth are we now maximising?’. But trust me… it will all make sense shortly. But now we need to look at maximising all these skills and making them really work in our favour. Have you heard the term ‘Eat the frog’? Sounds pretty gross, I know, but it’s actually brilliant. Mark Twain suggested the best method was to tackle your worst/biggest task first up in the morning, so you get it out of the way nice and early. In other worlds, go big or go home. 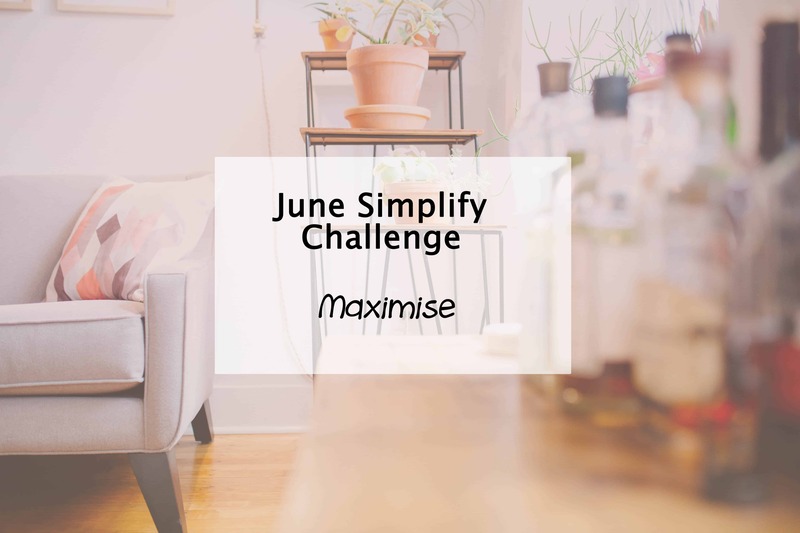 So the key to this month’s simplify task is to maximise your effort so you get things out of the way quicker, so there is less lingering over your head. This also means maximising the other skills you’ve adapted on your path to simplify. Make your actions count, stop procrastinating and just get it done. So there you have it… a simple yet effective method for this month. Start creating that daily to do list and eating that frog nice and early so the rest of your day is easier and you can end it with a sense of great accomplishment! Congratulations on hitting the halfway mark of the Simplify My Life challenge. If you are new or are stumbling onto the challenge at a later date, no problem either. Just jump in and tackle at your own pace. Are you in the habit of ‘eating frogs’ to maximise your time?